Is 2018 the Year of Customer Convenience? It seems that every year has a theme attached to it in terms of where dealerships’ focus will be. Which themes or buzzwords will dominate 2018? We’ve heard about customer loyalty for a long time. More recently, improving the customer experience has been a hot topic. But the word “experience” is broad and covers the entire purchase process, from brand awareness to after sale. As you make plans to deliver a better experience, where should your focus be on a granular level? As a first step, consider this: For consumers, it’s all about convenience. We live in a customer-centric world, where everything is on demand and people have 24/7 access to goods and services. The answer to any question is just a few clicks away. This is the new norm and expectation. 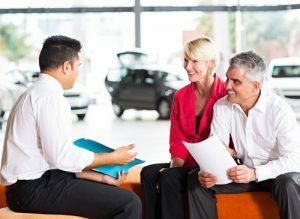 Many dealerships have expanded their sales and service hours to accommodate professionals who find it difficult to visit dealerships during the work week. You may want to consider ways to stay open later and offer service on Sundays. Add shifts and staff, if necessary. If you can keep your service bays filled, you’ll pull in more than enough revenue to make it worthwhile. You may also want to look into artificial intelligence (AI) chat bots, online scheduling or an outsourced BDC, so customers can get their questions answered and make appointments when nobody is at the dealership. A common complaint from customers is how long the car-buying process is. Many dealerships are getting better at this. Technologies that are helpful include desking tools and mobile tablets. Although every DMS has a built-in desking tool, not all dealerships use them. Approximately 30 percent of sales managers still use the four-square method with handwritten figures to present pricing options to customers. All the back and forth with the manager, as well as lack of transparency involved with four-squares, takes plenty of time, which is frustrating for the customer. A desking tool enables the sales manager to offer multiple options in a professional format. It eliminates the running back and forth, and provides instant options that the customer can choose from. Another part of the car-buying process to address is F&I. Ideally, customer wait time for your F&I manager should be 15 minutes or less. One way to achieve this goal is with mobile tablets. When the F&I manager is alerted to a new deal, they go out and hand the customer a mobile tablet. While they are waiting, the customer answers questions about their driving habits, history and how they plan to use the car. As they answer, products are suggested to them. If the customer wants to know more about a product, they can click on a short video presentation that explains the product benefits. Mobile tablets make the wait time more palatable for the customer because they are engaged. Then, when the customer is finally escorted into the F&I office, the manager has all the customer preferences and information at their fingertips. This not only reduces the time of the menu presentation, but it makes the presentation more relevant to what the consumer wants. Customers are in control of the buying process now. Withholding information gets you nowhere. If the customer doesn’t get the information they want from you, they’ll get it somewhere else. When it’s time to buy, they’ll probably go to that “somewhere else” to do it. Use available tools to determine price points that are competitive, yet don’t give away the farm. If you aren’t using tablets in service, sales and F&I yet, put this at the top of your list for 2018. Paper-based processes are out; mobile is in. Mobile processes are more streamlined, save time and shift your employees’ focus away from paperwork and toward customer interaction. Additionally, you may want to consider implementing mobile communications, such as a texting tool. Right now, your employees are texting your customers with their smartphones, because that’s the way many of them prefer to communicate. A texting system needs to be integrated with your DMS to ensure compliance and so that all communications records can be stored and accessed. If you plan to improve your customer experience in 2018, you don’t have to spend a large amount of time figuring out where your focus should be. Make it convenient for your customers to do business with you, and you’ll be ahead of the game.